QUESTION #1: Are you a school based OT/COTA or PT/PTA? Are you a school based OT/COTA or PT/PTA? Please click on school based OT or school based PT? 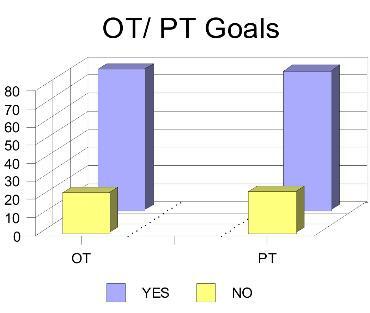 QUESTION #2: Do you write separate occupational or physical therapy goals for a student’s IEP? Want to post a response to the survey results? e-mail response and we will review it and post responses.